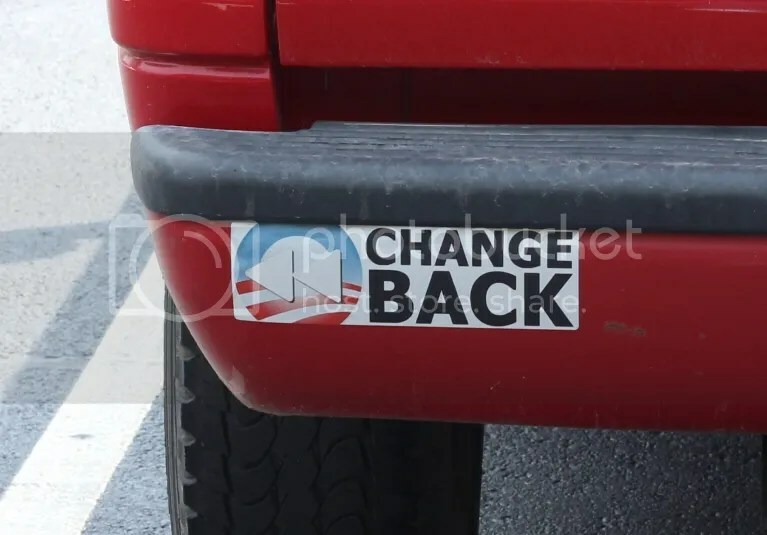 “Change Back” and “Spay & Neuter Liberals, Partnership for a Liberal Free America”. Correct me if I’m wrong, but wasn’t the issue of the bumper sticker on the left determined by the 2012 presidential election? I’m curious, though, does anyone know anyone who wants us to go back to the bad old days of dubya from 2001 to 2009? Judging from the condition of the vehicle I suppose that the owner isn’t even close to being part of the 1%. That is a guess. 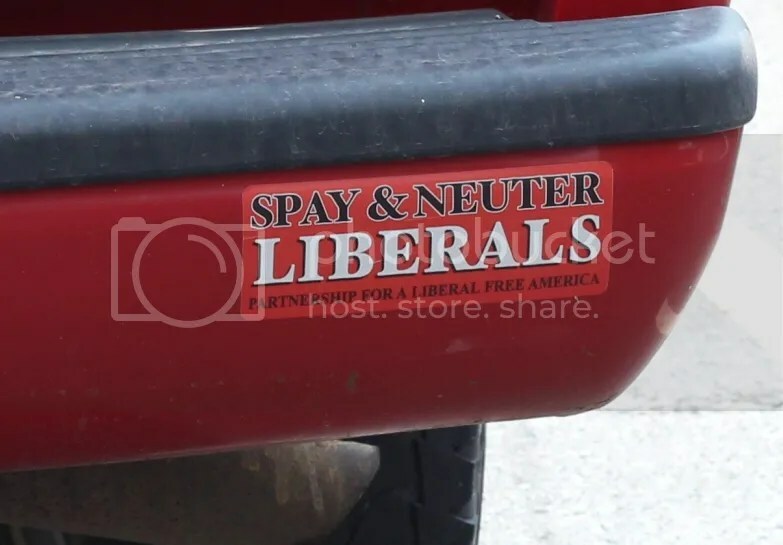 I’m also guessing, based on the bumper sticker on the right, that this individual isn’t necessarily a fan of the Humane Society.